Here in SoCal, winter almost seems to have passed us by. Drink winter in a summer‘s glass by converting the wonderful wintery combination of honey and ginger into this refreshing kombucha spritzer. Combine spirit, lemon juice, and honey syrup with ice. Shake, and strain into a highball or wine glass filled with ice. Top with Kombucha. And garnish with mint. 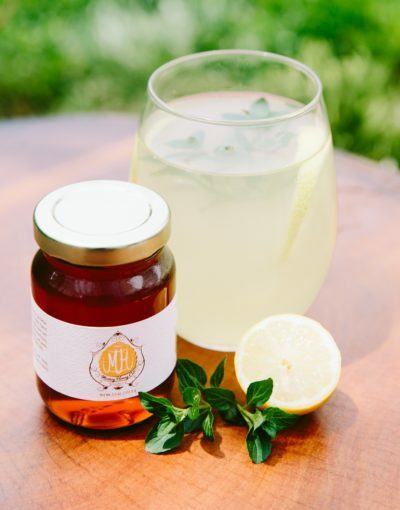 *If you can’t find ginger-flavored kombucha, or if you simply want to try another flavor, an easy hack is to infuse your honey syrup with ginger (recipe here).